Head to culinary institution Da Hu Chun for Shanghai specialty shengjian bao (pan-fried buns). The long short rib teriyaki at Mr & Mrs Bund is cooked for 12 delicious hours. Shanghai’s YEN restaurant has a melon and rose-infused sauce take on traditional Peking duck. Purple shiso sorbet with pickled mustard seeds, Taian Table, Shanghai. 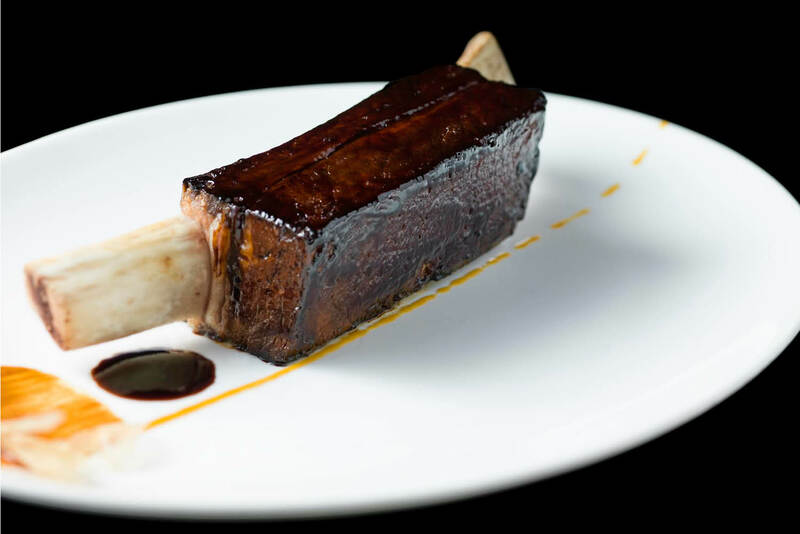 You can try all 20 courses at three Michelin-starred Ultraviolet for around $800 (photo: Scott Wright). 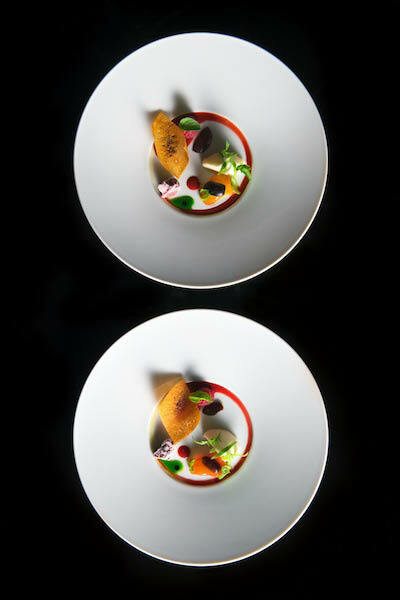 Tomato and mozza, one the 20-course at Ultraviolet, Shanghai (photo: Scott Wright). TOMATO MOZZA AND AGAIN (photo: Scott Wright). ‘Come to Shanghai and eat us out of house and home’ was perhaps not the brief I was given when I landed in the ‘Paris of the East’ recently, but with a sweeter-than-average cuisine heavy on ‘drunken’ chicken and crab how can anyone resist? Four days, 60 kilograms and endless unbelievable dining experiences later, I present to you the seven dishes (and in the case of one restaurant, experience) you need to pop in your ‘must do’ journal immediately. 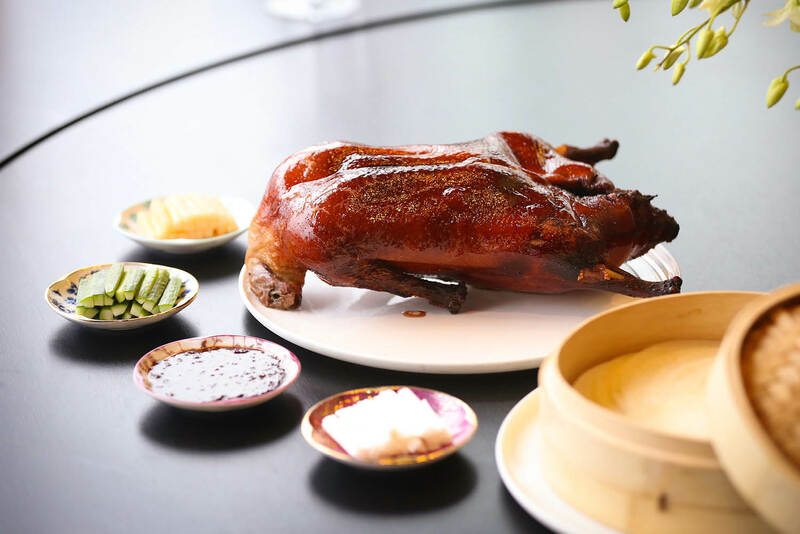 When I was instructed to book a table at the recently opened W Shanghai’s upscale YEN restaurant and order myself chef CK Sau’s modern take on Peking duck, I thought they were confused. The centuries-old dish – one of the main dishes on imperial court menus back in the 1300s – hails from Beijing, not Shanghai and the request is not unlike someone in Coober Pedy asking you to try their ‘famous’ seafood platter. But oh, what a revelation! Rather than stuff a pancake with duck meat, spring onion and cucumber, Sau pairs the duck with a surprising piece of melon and serves it up with a rose-infused sauce. It sounds wrong, but tastes oh so right. If you’re hankering for traditional street food, it doesn’t get any more authentic than Jia Jia Tang Bao, a hole-in-the-wall at the People’s Square as notorious for its looooong lines and plastic-stool ambience as it is for its made-to-order soup dumplings – or xiaolongbao. Most locals swear you can do no better than the hot parcels of pork and soup, but I’m convinced pure crab is the clear winner. Regardless, give yourself extra time and prepare to go straight on the nod afterwards. Technically, I’m cheating, however no dining compilation of Shanghai is complete without Ultraviolet, a three Michelin-starred ‘experiential’ restaurant conceived and executed by French chef Paul Pairet, located somewhere so secret, no one actually knows where it is (a bus transports you to an unmarked entrance somewhere near Suzhou Creek). 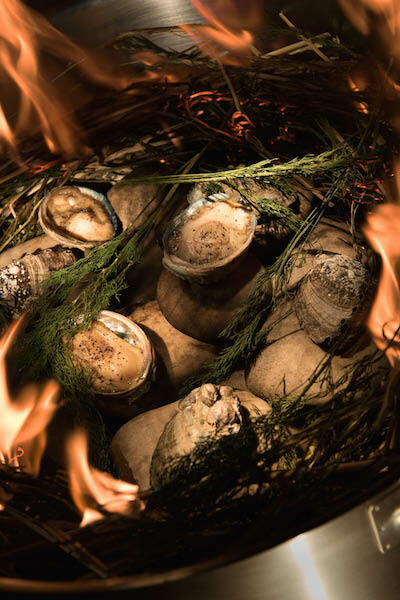 What comes next is the ultimate multi-sensory experience for 10 guests only, featuring 20 courses served by a team of chefs, servers and producers who activate sounds, lights, scents and videos from a nearby control room. The dishes too also remain closely guarded – although a quick scroll on Instagram shows diners enjoying the likes of Coca Cola duck. Got a spare $800? You can make a booking and tell us all about it. If you’ve ever wondered what eating in a prison dining room must feel like, pay a visit to Wei Xiang Zhai, a decades-old restaurant where the scenes are so chaotic that many food reviewers often refer to it kindly as being a somewhat ‘unforgiving’ environment. People keep coming back however, because their signature sesame noodles – angel hair wheat noodles slicked with molten sesame-chilli paste and topped with your choice of meat – is so good, it’s worth fighting the hordes off to get a seat and then showing off your shiv anytime someone hovers by your table. I plan to go back the minute I’m next in Shanghai. If they’ll have me. I don’t eat pork, but if I did, locals assure me the first place they’d mark on my list is culinary institution Da Hu Chun for a few plates of their sheng jian bao – juicy pockets of pork wrapped in bread dough that is fried and then steamed. 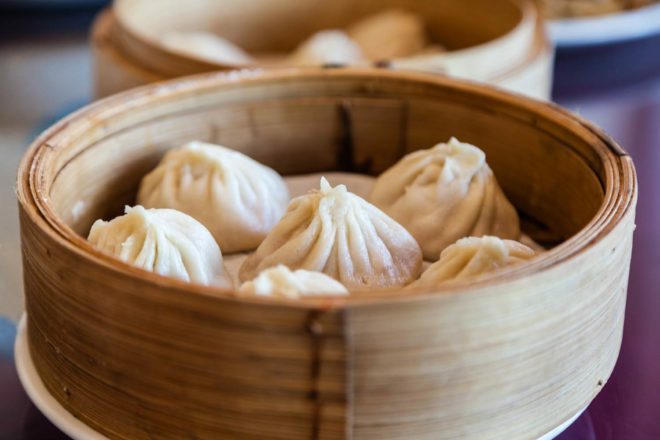 Although the buns are now a consistent thread in the tapestry of Shanghai’s dining scene, the history of sheng jian bao is a little murky, with many reporting it was created in the early 1900s to be served in tea shops as part of dim sum. Da Hu Chun, now a chain, began serving it in the 1930s its original location on Sichuan Lu is the best place to park yourself. Can’t afford (or can’t find) Ultraviolet? Head straight on over to Pairet’s other award-winning offering, Mr & Mrs Bund, and give yourself over to the carnivorous pleasures of its mouth-watering long short rib teriyaki, a cut said to be inspired by Pairet’s dog’s bone and cooked for 12 hours so that the meat falls away from the bone at the merest suggestion. There’s no history lesson here and no Shanghai element, but a visit to Mr & Mrs Bund will enable you to nod your head knowingly whenever someone brings up this dish – because someone eventually will. It’s only a matter of time. Taian Table powerhouse Stefan Stiller does not want me to use the word fusion to describe his Michelin-starred restaurant. “Fusion is confusion – especially in print,” he warns and I gulp. Working my way through his 14-course degustation which is NOT fusion, but dishes of perfection with an Asian influence yet with its roots in Europe, I don’t even care anymore – it’s that delicious that he can call me Shirley and I’ll answer to it. 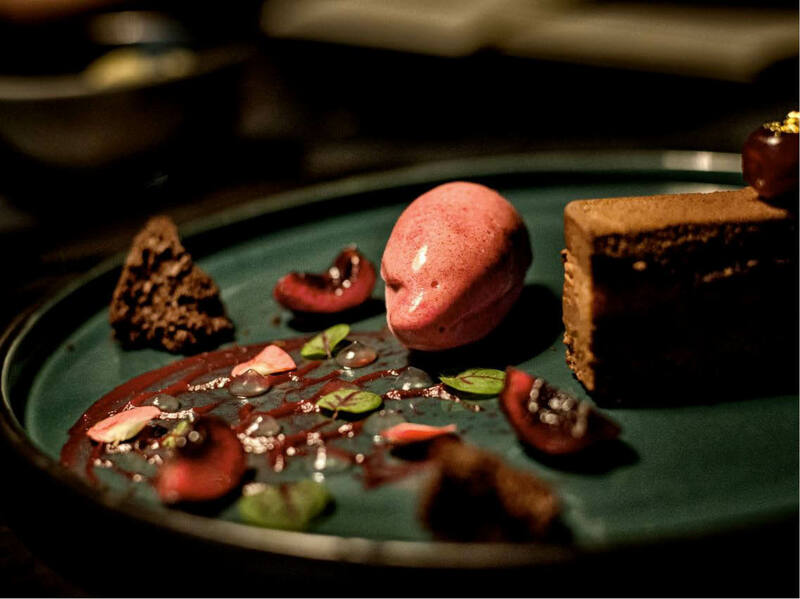 Reflective of the ever-changing cosmopolitan vibe of the city, the menu changes every month and I happen on Menu No 11, which features everything from king crab with avocado and tomato jelly, to grilled octopus with quinoa and capsicum water.